Rescuing First Nations Youth: What Did the Attawapiskat School Saga Teach Us? Shannen Koostachin’s Children’s Campaign for a ‘safe and comfy’ school in Attawapiskat First Nation was deeply moving. It spawned Shannen’s Dream, a Canadian youth-driven movement dedicated addressing the glaring educational inequities and alerting policy-makers to the urgent need to improve funding of on-reserve First Nations education. With the support of Northern Ontario MP Charlie Angus, Shannen got her school, was nominated for the International Children’s Peace Prize, and then featured in Alanis Obomsawin’s 2013 documentary film Hi-Ho Mistahey. While reading the latest C.D. Howe Institute Commentary, Students in Jeopardy (January 2016) written by Barry Anderson and John Richards, a chill came over me. With clinical precision, the two authors document, once again, the abysmal First Nations graduation rates and the apparent ‘failures’ of what are termed “Band-Operated Schools.” What, I wondered, had Anderson and Richards learned from Shannen and her youth crusade for First Nations community-based schools? For those seemingly fixated on documenting the “deficits” and proposing structural reforms in First Nations education, a refresher may be in order. In 2007, Shannen was 13 and in Grade 8, having spent her entire elementary years in squalid, poorly heated portables. When the proposal for a new Attawapiskat school was shelved, she and her Grade 8 classmates stood up for the younger students behind them. Utilizing letter writing, then Facebook and You Tube, Shannen’s children’s crusade went over the heads of politicians and bureaucrats to get their message across in the elementary schools of Southern Ontario, union halls, then on Parliament Hill and even in Geneva, Switzerland. Tragically, in 2010, Shannen was killed in a highway accident on one of her long trips in the Near North, but her Dream lived on. Taking up the youth campaign, MP Charlie Angus pushed for a new school and succeeded in securing passage of a February 2012 House of Commons resolution to “put reserve schools on par with non-reserve provincial schools.” In September 2014, fourteen years after the old school was closed because of a diesel fuel leak, a new Attawapiskat school opened with brightly lit classrooms, a library, a music room, a home economics department, and a gymnasium. Without the “outraged energy” of Shannen’s campaign it may not have happened at all. Shannen’s educational journey is regrettably all too common. She and her older sister, Serena, graduated from the Attawapiskat school and were compelled to move hundreds of kilometres away to New Liskeard, Ontario, for high school. While campaigning for better schools, she travelled far and wide and saw, first hand, the gross inequities in schooling, especially between schools in suburban Toronto and those in First Nations communities. Completing high school in First Nations communities requires incredible persistence. One of Shaneen’s fellow students, Holly Nakogee, attending Grade 12 in Attawapiskat in 2014-15, was typical of the true survivors. After losing her closest sister Dakota following childbirth, she moved south three times for high school, only to return ‘homesick’ each time. In a community where some 95 per cent of the housing is sub-standard and the water isn’t drinkable, graduating from high school can seem insurmountable. First Nations children in Attawapiskat are still facing long odds and feel essentially trapped with no real bridges to a healthier, happier, more fulfilling life. Looking at those all-too familiar C.D. Howe Institute bar graphs showing 2011 First Nations High School Certification Rates of 48.9 per cent for Ontario, compared to well over 80 per cent province-wide, cannot possibly convey all the “burdens” borne by those First Nations students who “fall out” of the system. Somehow the “Action Steps” proposed in the C.D. Howe Institute report leave me cold. A “seven step” strategy is presented with the declaratory certainty of the “policy-wonk” at a safe distance from the unfolding crisis among First Nations youth. The same recommendations reappear: close the funding gap; focus on improved student results; clarify who’s responsible for what, improve Region and ‘Band’ competencies; seek incremental improvements; target program funding; and improve second-level support services. Such an approach may produce marginal improvement and help to ease the tortured conscience of federal and provincial policy-makers and Indigenous Affairs officials. It doesn’t really get at the root of the problem and does precious little to empower First Nations people themselves. With a new Minister of Indigenous and Northern Affairs, Dr. Carolyn Bennett, and more generosity of spirit, the time for social reconstruction may have arrived. Supporting traditional industries, creating sustainable employment, refurbishing housing, and embracing First Nations community-based schooling is a much better ‘whole of government’ approach. In that respect, my own Northern Policy Institute report, Picking Up the Pieces co-authored with Jonathan Anuik (September 2014), offers a sounder point of departure. Social reconstruction and community-school development require a completely different more comprehensive, grassroots up strategy respecting First Nations ways of knowing and traditions. More funding would be a real help, but it’s going to take a generation to rebuild broken trust, foster cross-cultural reconciliation, and assist First Nations peoples themselves in this vitally important work. What have we learned from Shannen’s Dream and the Attawapiskat School campaign? Why do First Nations ‘policy experts’ tend to fixate so much on the obvious “deficits” in student learning and graduation levels — and not really address the underlying causes? Where have top-down First Nations supervision and accountability schemes gotten us, so far? Is it easier to affix blame and point fingers than to listen, learn and act with more sensitivity? Why not try harder to get more in sync with First Nations communities and their deepest aspirations to rebuild their own communities and institutions? Community Hub Schools: Where Will We Find the “Cage-Busting” Leadership? A year after Nova Scotia’s official adoption of the Hub School model and the imposition of a set of school-level regulations, the Province of Ontario is now preparing to embark on a Community Hub initiative of its own. While the Maritime province was first out of the gate in June 2014 with Education Act amendments, the recent “rejection” of three grassroots Hub School projects in the rural communities of Maitland, River John, and Wentworth, has stalled the venture in its tracks. On August 10, 2015, Ontario Premier Kathleen Wynne publicly endorsed a special report by provincial consultant Karen Pitre calling for closed public schools to be given a second life as “community hubs.” Premier Wynne and Education Minister Liz Sandals are certainly much more active than their N.S. counterparts in promoting the changes and clearly see ‘hubification’ as a provincial priority. The Nova Scotia experience, so far, has produced a few bitter lessons for provincial policy-makers and Hub School advocates alike. First and foremost, without committed and determined “cage-busting” political leadership, policy pronouncements go nowhere. Ontario may be playing ‘catch up’ on hub schools, but that province, with visible political leadership, is taking a far more comprehensive, short- and long-term, approach to transforming schools into hubs. In Ontario, the hub school initiative is being driven as much by urban neighbourhood imperatives as by rural village concerns. It was all precipitated by the Toronto District School Board governance review conducted by Margaret Wilson and related provincial school facilities studies revealing that the province was littered with “half-empty” and abandoned schools. Ms. Pitre’s report recommends an immediate measure to lengthen the time allotted for school site disposal, giving public bodies and community groups 180 days to come up with hub proposals. Her plan would also allow prospective buyers to pay less than market value and open the door to shared funding by the province. Instead of proclaiming legislation and then imposing restrictive regulations, Ontario is looking at clearing away the red tape to preserve schools as public buildings and making space-sharing easier (not harder) for community activities, health clinics, daycares, seniors’ centres, and cafes. Jumping ahead with enabling legislation without integrating community planning and investing in making it work may turn out to defeat the whole Nova Scotia project. Leaving Hub School advocates to produce proposals without any visible provincial or school board support likely doomed the pilot projects. Two months after the axe fell, River John hub school promoters are getting the ‘runaround’ in their determined attempts to get someone, somewhere to take responsibility for community renewal. Will Ontario’s Community Hub initiative suffer the same fate? The prospects look brighter in Ontario for a number of reasons. 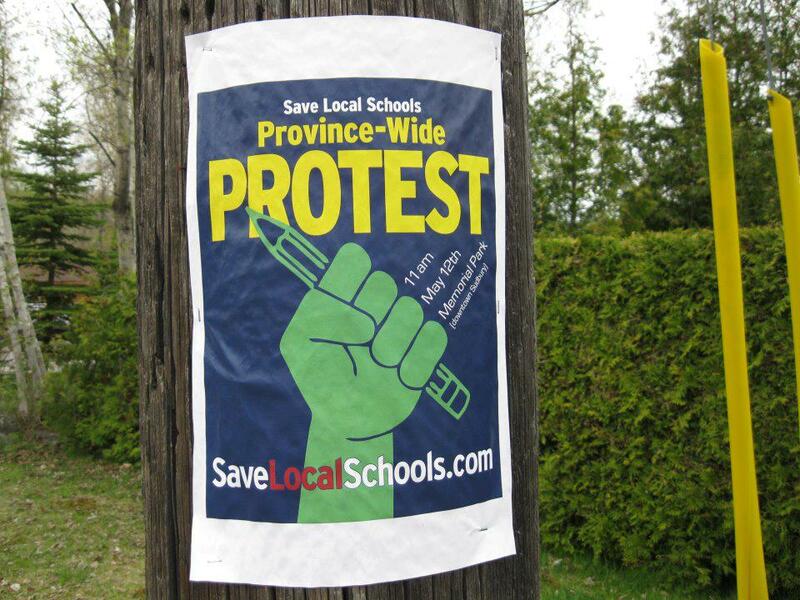 From the beginning, Nova Scotia’s provincial strategy was essentially reactive, driven by a desire to quell a 2013-14 rural earthquake of widespread and fiercely determined local school closure protests. Community hubs were an idea proposed by “outsiders” and almost reluctantly adopted by Nova Scotia education authorities. Community hubs are already more accepted and common in Ontario than in Nova Scotia even without the enabling legislation. Some 53 examples of hubs are cited in Pitre’s report, most located in urban and suburban communities rather than rural localities. The big push at Queen’s Park is also coming from Toronto and major population centres with far more political clout. Nova Scotia hub school proponents faced a wall of administrative obstacles and totally unrealistic cost recovery targets, and Ontario is looking instead at clearing away the red tape. In addition, Pitre’s report proposes recognizing the Social Return on Investment (SROI) in hubs. There is a clear recognition that investing in hubs produces social dividends, including lower delinquency rates, better health outcomes, healthier lives for seniors, and higher levels of community trust. Cage-busting leadership will be required to transform schools and other public buildings into viable community hubs. It starts with tackling the fundamental structural constraints: the need for integrated community planning, the adoption of an integrated cross-departmental service delivery model, and the provision, where needed, of sustainable public funding. Creating viable community hubs is a true test of political and educational leadership. Little or nothing that is sustainable will happen without busting open the “iron cage” of education. Only then will we see community hub schools that fill the glaring local social and community service gaps left by the regionalization of public services. What’s standing in the way of establishing community hubs in emptying and abandoned public schools? What went wrong in Nova Scotia, the Canadian province first out of the gate with enabling legislation? Will Ontario fare any better with a more comprehensive “whole of government” policy framework? And where will we find the “cage-busting ” leadership at the provincial, board, and school levels? Children’s Zones: What’s Standing in the Way of Child-Centred Community Redevelopment? 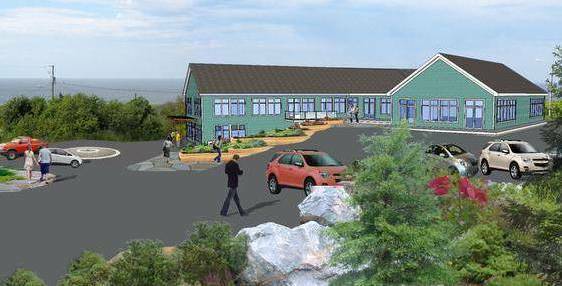 The Inverness Community Leadership Centre in Cape Breton, Nova Scotia, is edging closer to realization. 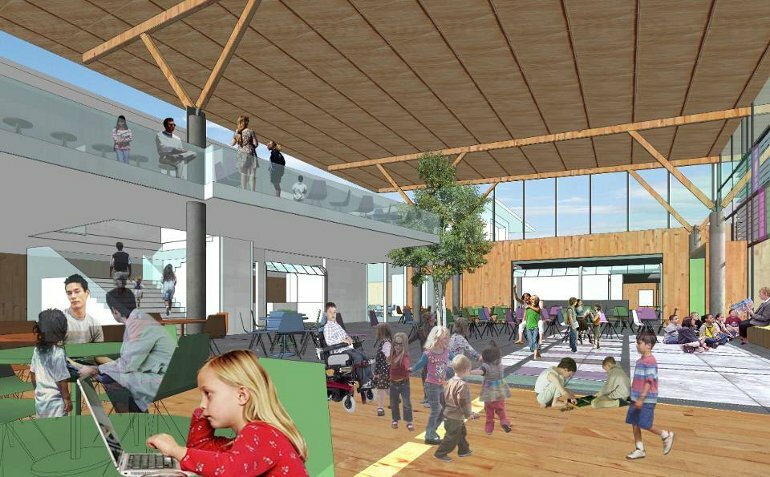 A former coal mine office is about to be transformed through a $2 million renovation into Nova Scotia’s first “children’s zone” development initially housing two innovative local ventures, the Early Years Co-op and the Inverness Cottage Workshop for intellectually disabled adults, with plans to add an entrepreneurship centre. In it’s conception, the little venture is actually inspired more by American than Canadian precedents. Campaigning to eradicate child poverty and promoting universal social support programs remain the well-worn Canadian policy approaches to “closing the income gap.” Community reconstruction in Inverness is markedly different because it begins and ends with children, youth and families. Much like glittery American ventures such as Harlem Children’s Zone and Promise Neighborhoods, it taps into the enormous, largely underutilized potential of community-based, child-centred alternatives. The ambitious project in Inverness, a struggling Cape Breton town of 2,000 souls, is anything but an overnight success. It’s clearly the brainchild of a true visionary, Jim Mustard, a messianic Town Councillor with Early Child Development in his DNA. He is, after all, the son of the late Dr. Fraser Mustard, the world renowned McMaster University pediatrician famous for promoting maternal health and early childhood education. Early learning is gradually advancing in Nova Scotia, by baby steps, and it is vital to the longer-term social regeneration agenda. Since the 2012 Canadian Pediatrics Society (CPS) report, the province has come onside. For every dollar spent on the early childhood years, governments now see a $4 to $6 return to society in terms of more productive youth and reduced expenditures for juvenile justice, jails and social assistance. Child and family poverty remains a stark reality in Nova Scotia, especially outside of Halifax. Since 2000, the target year for the eradication of child poverty, Dr. Lesley Frank of Acadia University reports that the child poverty rate (22.2%) has barely budged, in spite of modest increases in the minimum wage and child support programs. Children, youth and families in lower income homes bore the brunt of the brutal 2008-10 economic recession. One in 3 children (32.6%) in Cape Breton are living in poverty, compared to 24.4% in Kentville, 24.3% in New Glasgow, 21.8% in Truro, and 18.6% in Halifax. While child poverty statistics are hard to find in Yarmouth, there’s a steady demand for shelter at SHYFT Youth Services, responding to the needs of homeless youth. Most of the remedial measures bandied about — legislating a living wage, introducing the Guaranteed Basic Income, or province-wade subsidized child care — are well known. Most often they are proposed by Canadian child welfare activists committed to restoring the diminished and porous social safety net. The Toronto LOI project is a promising first step, openly acknowledging that not all public school communities are equal. It can also be an extremely valuable indicator of where a school system needs to target its educational resources. The Toronto board, however, is less clear in how the LOI is actually being used. Beyond reporting in 2014 that LOI is utilized to “help allocate staff and other resources” it’s hard to identify visible, targeted programmatic initiatives. Looking south to the United States, the initial glow surrounding Geoffrey Canada’s signature project, the Harlem Children’s Zone, has faded as time and student results tone down the somewhat unrealistic transformative expectations. While Canada’s project falls short of being “The Harlem Miracle,” it has produced measurable gains for kids living in one of North America’s most disadvantaged urban districts. Now that Geoffrey Canada has stepped down as CEO of Harlem Chidren’s Zone (HCZ), more objective assessments of its success are appearing. Although they focus on HCZ, the appraisals may well apply to the replica projects supported by President Barack Obama in 20 different cities across the United States. Already, it is clear that allocating $60 million to the Promise Neighborhood projects in cities like Los Angeles, Boston, and Washington, will be insufficient to duplicate HCZ that required over $200 million to make a dent in schools serving 8,000 children and 6,000 adults across 97 blocks of Harlem. 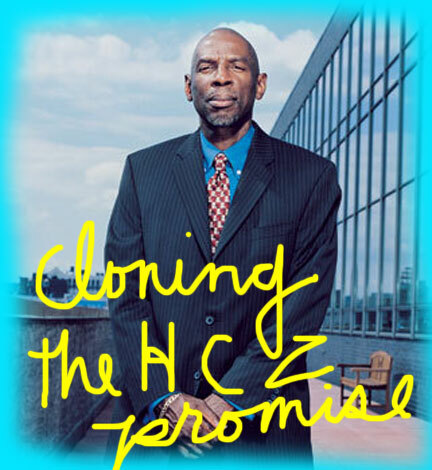 Critics of Geoffrey Canada and his HCZ tend to miss the whole point of his massive social reconstruction project. Through his work with HCZ’s precursor, Rheedlen Centres for Children and Families, Canada learned that child and family poverty was not amenable to eradication when projects focused on only one dimension of the problem. Establishing charter schools alone would not work without addressing the underlying social determinants of chronic student underperformance: early childhood development, housing, and health care. His ambitious initiative, as MIT neuroscientist John Gabrieli recently noted, demonstrated how “ambitious community programs…. paired with aggressive school reform efforts” offer the best hope to “close the achievement gap” and revitalize whole communities. American Children’s Zones, it turns out, have rather surprisingly much in common with Jim Mustard’s Inverness Community project. It too is a community-based social reconstruction venture that has the potential to change that dynamic. What Geoffrey Canada undertook in Harlem, is just the Inverness project on a gigantic scale. One look at that little Cape Breton project is enough to awaken anyone ready to think “outside the box” about the potential for child-centred models of community re-development. What’s the real purpose of Children’s Zones in both inner city neighbourhoods and small communities? Does child-centred community redevelopment still have the potential to break the cycle of child and family poverty? If so, what’s standing in the way of its realization? First Nations Education Renewal: What’s Wrong with Building from the Schools Up? First Nations Education in Canada has been the focus of a great deal of controversy and discussion in recent months. The latest proposed “solution” put forth, the First Nation Education Act (Bill C-33), was built around an enhanced federal financial contribution. The bill was, however, ultimately rejected by many first nations and subsequently abandoned by the government. 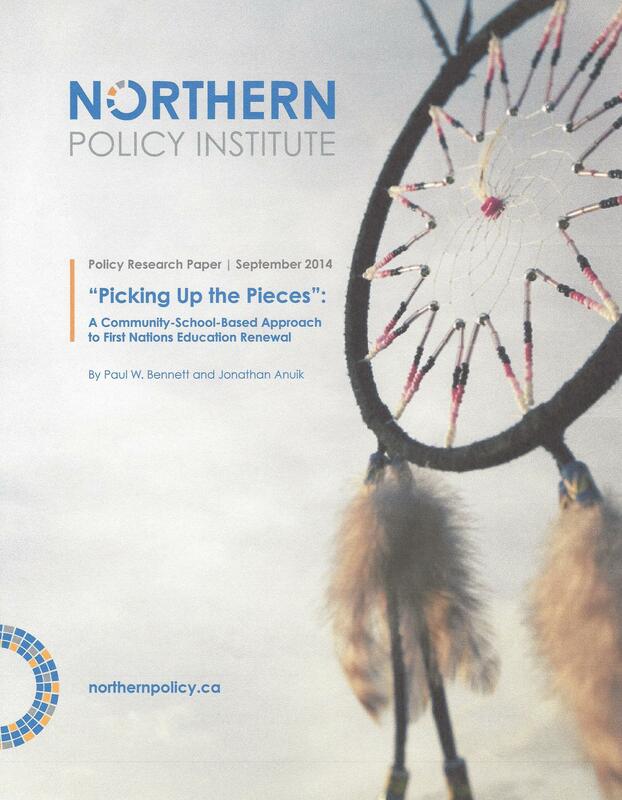 In our Northern Policy Institute research report, “Picking up the Pieces,” Dr. Jonathan Anuik and I demonstrate why the education reform proposed in the proposed Bill C-33 missed the mark. More money in the form of increased capital funding might have brought modest gains to on-reserve schooling, but replacing one bureaucracy with another rarely changes the state of education or improves the quality of student learning at the school or community level. A community school-based approach, respectful of what Indigenous scholars such as Marie Battiste term the “learning spirit,” that supports a real shift in the locus of decision-making, stands a far better chance of making a difference and improving the achievement of all Indigenous children and youth. Education governance is a contested democratic terrain. Provincial district school boards across Canada are currently facing a public crisis of confidence, and the proposed Act ran the risk of perpetuating that problem by extending it into First Nations communities. Publicly elected trustees and school-level administrators now voice serious concerns, most recently in a 2013 Canadian School Boards Association study, that “centralization” is slowly choking-off local-decision-making and rendering elected boards powerless. Simply enabling the establishment of school boards may well reinforce that centralization impulse. First Nations control over education now involves a transformation enabling First Nations to develop educational programs and practices rooted in Indigenous knowledge systems and consistent with Aboriginal ways of learning, exemplified recently in what First Nations call Holistic Lifelong Learning Models. However, instead of accepting the centrality of First Nations knowledge systems as an essential pre-condition to discussion, Ottawa focused on advancing a plan more narrowly focused on improving employability skills, reflected in student achievement and graduation rates. The declaration between the federal government and the Assembly of First Nations (AFN) on February 2014 speaks of “mutual accountability” yet insisted upon a core curriculum that “meets or exceeds provincial standards,” requiring students to meet minimum attendance standards, teachers to be officially certified, and schools to award “widely-recognized” diplomas and certificates. Following the declaration, a small group of First Nations people, sparked by Blood First Nations activist Twila Eagle-Bear Singer, began wearing “blue dots” symbolizing the tradition of exclusion. Subsequently, First Nations leaders across Canada not party to the national agreement coalesced, forcing the AFNs Chief Shawn Atleo to resign and the rejection of Bill C-33. With the federal bill broken into pieces, we propose an alternative model for First Nations schools that we term “Community School-Based Management” renewal. That approach embraces a mode of decision-making that has much in common with First Nations ways and practices, and most notably the “Talking Circle” tradition of the Mi’kmaq. Pioneered in the Edmonton Public Schools in the 1980s and now adopted by the World Bank in its international education initiatives, the essential concept of “school-based management” would seem to be more in accord with the aspirations of First Nations for a greater measure of self-government in education. The First Nations population is not only young but growing rapidly, creating a sense of urgency. Forty-two percent of the country’s registered Indian population is 19 years of age or younger as compared to 25% of the Canadian population as a whole. By 2026, the on-reserve First Nation population of 407,300 in 2000 is expected to increase by 64% to 667,900. We urge the Canadian government to invest in supporting and expanding promising community-led initiatives like the MK involving teachers, parents, and families outside of the existing span of administrative control to achieve longer-term goals of improved literacy, academic achievement, and life chances. It’s time to pick up the pieces and start over again. Community school-based renewal rather than bureaucratic reform will build sustainable school communities, unlock the First Nations “learning spirit,” and truly engage children and youth on and off First Nations reserves. Where did the Stephen Harper Government go wrong with the proposed First Nations Education Act? What can be learned from the toppling of National Chief Shawn Atleo and the demise of Bill C-33? Why do federal authorities look to bureaucratic solutions and put such faith in introducing school boards into reserve communities? Is it possible to seed a “community-schools” model and build upon First Nations ways of learning? If so, what would be a realistic timeline for achieving improved student life chances? Rural Regeneration: Where Do Schools and Children Fit in the Revitalization Strategy? Bringing together community leaders like Acadia University President Ray Ivany, Yarmouth Mayor Pamela Mood, and prominent CRA pollster Don Mills with passionate rural activists such as Leif Helmer of Petite Riviere, NS, Dr. Michael Fox of Sackville, NB, and Dayle Eschelby of Lockport, NS was long overdue and worthwhile in, and of, itself. New bridges have already been built in defense of the vanishing settlements in the countryside. Sharing our views provided 275 more “points of light,” but will it – can it—accomplish any more than that? Some of us have more robust aspirations – to initiate the significant change required to arrest the rural decline and set the Maritimes on the road to rural regeneration. The Georgetown Conference 2013 initiative may help to dispel popular myths that rural Maritime life is bucolic, backward and a ‘deadweight’ in the modern global economy. 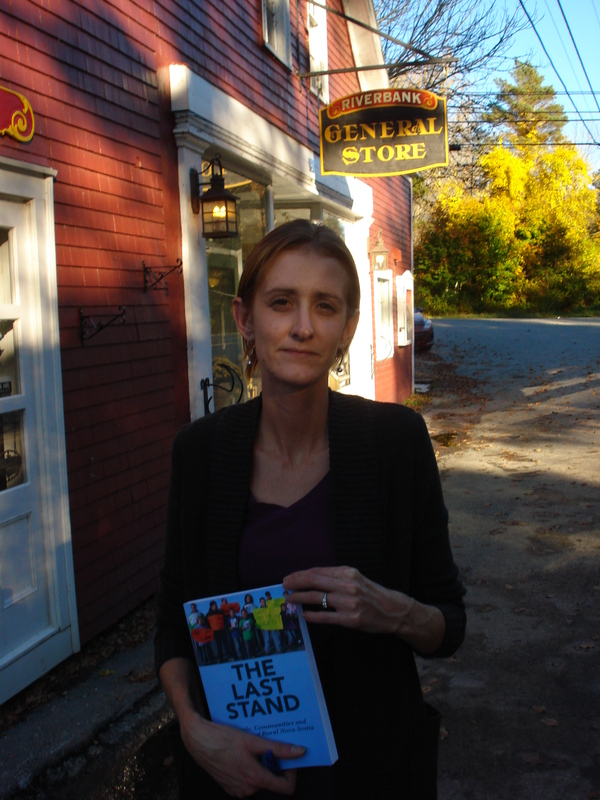 Claims that Nova Scotia’s economic stagnation is caused by a “failure to urbanize” have likely been put to rest. The Nova Scotia Commission on Our New Economy, headed by Ivany and now on election hiatus, has probably acquired some fresh momentum. Whether the Conference can bridge the great divide apparent in Atlantic Canada’s emerging economic vision for the future is far more problematic. Judging from the recent 4Front Atlantic Conference, held May 30, 2013 in Halifax, the 250 top business leaders and rising urban entrepreneurs may be proceeding with a different regional economic development agenda. The 4Front Atlantic movement has proposed an Economic Positioning Strategy (GPS) for the region’s immediate as well as the long-term future. Coming up with that plan was an impressive show of business solidarity, but where does the three-year odyssey leave rural communities? The five “stretch goals” of 4Front Atlantic for the next five years tended to focus , much like that of the former Darrell Dexter Government, on expanding trade, promoting wealth creation and providing better jobs. Securing young, talented workers and pushing-up immigration levels were also touted as a kind of miracle cure for what ails our provincial economies. Promoting Maritime ‘hub cities’ and ‘townsizing’ rural communities only advances urbanization. It also runs counter to the fundamental goals and aspirations of the rural community leaders and activists who gathered in Georgetown, PEI. Some 45 per cent of Nova Scotians are rural dwellers living in places of 5,000 people or less and the pattern is similar in the other provinces. Promoting rural sustainability is what drives them and they are not about to be swayed by visions of jobs ‘trickling down’ from mega projects. Innovation in today’s world is, more and more, being driven by small idea incubators and start-ups located outside cities and increasingly scattered throughout the countryside. This is evidenced by regular reports of the remarkable success of a host of Nova Scotia tech start-up companies. What lessons are we gradually learning? Traditional business operations are proving to be surprisingly slow footed in the fast changing, globally-networked economy. Yet, without sustainable, thriving rural communities, the long–term well-being and food security of cities and towns is imperiled in the decades ahead. Now is not the time to give up on rural regeneration. Moving schools to the centre of community renewal and development could well be the starting point. It is a critical piece of the agenda embracing support for innovative local enterprises, saving our farms, building, modelling sustainable living practices, and establishing networked communities. Building and preserving smaller schools is gradually being recognized as an essential building block for a revitalization in this corner of rural and small town Canada. What’s driving the Georgetown Movement of rural revitalization? Does Rural Regeneration actually figure in the Economic Growth and Global Trade visions of today’s business leaders? Will schools and children find a place on the go forward economic development agenda? School and Classroom Design: What’s “Progressive” about Imposing Change? Two radically different Canadian schools, Regina’s Douglas Park Elementary School and Calgary’s Connaught School, have each been recently hailed as exemplars of 21st century advances in school architecture. They also exemplify, in many ways, the advantages of “Fixing It First” over “Tear It Down and Start Anew” when it comes to building and sustaining true community-based schools for the future. The gleaming new Douglas Park School, a “new build” project designed by Fielding-Nair International, for the Regina Public Schools purports to be a “School of the Future” with its shiny glass walls, open area classrooms, and ‘learning suite’ interior design. Its futuristic design, highlighted in a fully animated fly-over video, projects the outward image of progressive educational practice. Presented as “innovative” design features, the open spaces , lack of walls and moveable partitions will be familiar to those acquainted with the infamous “open concept” schools of the late 1960s and 1970s. New build schools give the outward appearance of being innovative and “progressive” in embracing so-called “21st Century Learning.” In the vast majority of cases, they are the creations of school design theorists like Prakesh Nair who are disdainful of traditional school architecture and make a living off disposing of old schools and building brand new ones. School design visionaries describe traditional schools revered by generations of graduates as “obsolete” and only suited to “preparing students for a world that no longer exists. '” During the building phase, school user groups are normally either used as ‘sounding boards’ or engaged in giving limited input into the placement of functions. Such designs are seen as such masterpieces that public input is more or less a bit of a nuisance. One of the most innovative recent school design projects, John A. Johnson Elementary School in Saint Paul, MN, is sure to alter public perceptions. Once a struggling, inner city traditional school, it has been reborn as “a beacon of academic excellence, design innovation, and community involvement.” Very much in line with current school design thinking, it exemplifies “Schools as Centers of Community “ principles in opening its doors to the community, tapping into local talents and resources, while offering community hub services in return. Considered one of America’s “Great Schools by Design,” it has also been recognized with the Richard W. Riley Award for Excellence for Schools as Centers of Community. What is “progressive” about the “21st Century School Models”now being planted in empty lots or fields in North American urban and rural communities? Should community groups and parents be engaged from the outset in determining whether the school will be renovated or completely replaced? To what extent are the new school designs repeating the mistakes of the late 1960s and 1970s? How long after a heritage school is torn down does it take to re-build the sense of community?